The same issues I identified last time continue to exist. In discussion with people from various places along the track, it became obvious that most people found transport less than easy at both the start and end of the walk. One family had paid for a chauffeured drive at both ends due to their tight timeframe. Others had, like me, made multiple coordinated bookings to get themselves to the start. Everyone had found it complex, and were bemused at the every-other-day arrangements for some services. Overall, I think it could do with some attention, as the arrangements for Tasmania’s premier bushwalk are currently less than ideal. I suspect it derives somewhat from the economics imposed by the controlled numbers using the track, more on that below. As was the case 18 months ago, but now somewhat worse, there are some significant mud wallows between Frog Flats and Pelion Hut, and then on the approach to Kia Ora. The descent to Frog Flats appears to be the same as I recall it for the last decade. You can go around them, as many have, or plough through them. In truth, they’re not like the mud pools on the South Coast Track and elsewhere in really badly damaged areas, but they’re getting there. People from elsewhere were surprised that such obvious track damage wasn’t repaired, especially when they’re paying quite a lot to use it. 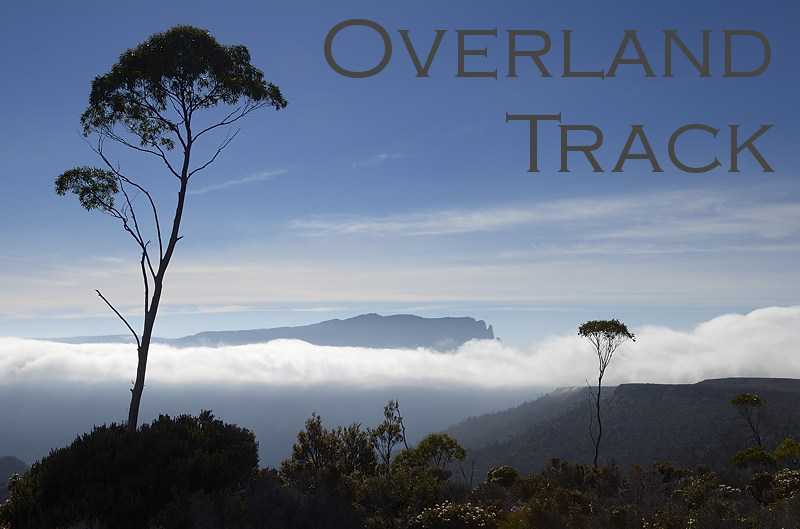 Given the expenditure on the Cape Hauy Track, a walk which was in pretty good shape anyway, I don’t think it’s too much to ask that the worst spots on the Overland Track get fixed. Two different walking groups noted that the web form where they paid for their walk didn’t confirm their booking. One had booked again, and then shortly after realised they had booked twice, so they induced a friend to do it with them. Another family of four didn’t get confirmation, so they booked again. They hadn’t realised their credit card had been hit up twice until they arrived to walk the track, whereupon the ranger had told them they would need to get their money back for the other booking. I have to assume that their spare booking kept four actual walkers from completing the track at the same time. This booking system could probably do with some attention. I saw no groups using the campsites. I’ve heard the companies providing this service are struggling to find punters, and let’s face it, why would you pay them squillions to “guide” you along this track, when you have to carry all your own gear and if you wanted to pay a lot, you could do it with Cradle Huts. In the meantime, the rangers try to stop people using the group campsites, which are clearly the best sites, when there is no group in evidence, no group booked, and nobody has seen a group anywhere along the track. There was the usual bevy of walkers with barely enough equipment, even for the relatively benign conditions during my recent walk. Some (not all!) German backpackers were the most obvious – no stoves, insufficient food, dubious warm clothing, no tents. Other walkers found their raingear and tents did not deal well with actual rain, even what was quite light rain for this area. There was some surprise that hail and sleet were encountered during “summer”. In fact, given the weather, there would have been significant numbers of very uncomfortable walkers if the track was actually busy – quite a number of the people staying in huts had inadequate or NO tents and would have ended the walk very damp. There seemed to be far fewer than 60 walkers starting the track around the time I was there. Cradle Huts groups were less than 12, there were no other groups in evidence, and there didn’t seem to be anywhere near the allowed number of independent walkers. This might not always be easy to assess, but over a few days on the track, you get a sense of whether there are anywhere near 60 walkers starting per day. There weren’t. In any event, I would suspect that even 60 walkers starting per day are not sufficient to enable transport operators to set up proper services that get people where they need to be when they need to be there. This may account for the state of the transport services. I also wonder how many people were unable to book a place on the walk because someone else had to double-book to get a confirmation email from the website.